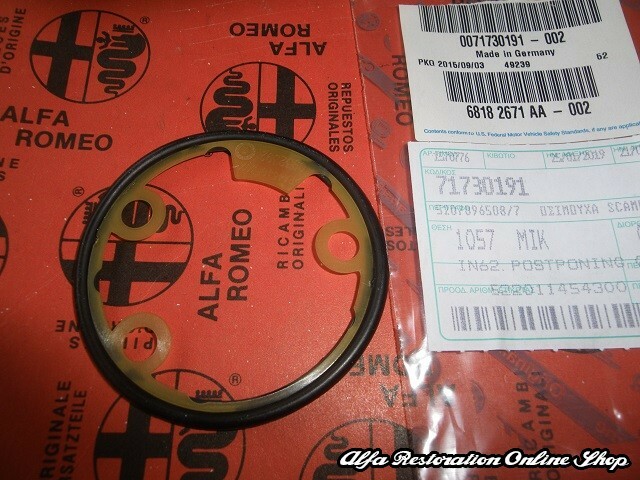 Alfa 147/156/GT/GTV/Spider 916 Series Heat Exhanger Oil Seal. This is the seal found on the heat exchanger on the Twin Spark engines. 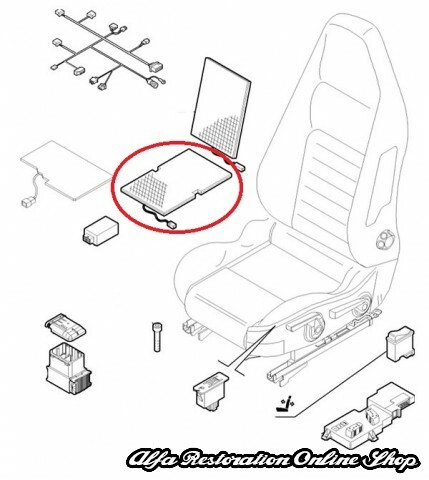 OEM part number is 71730191/717130191. 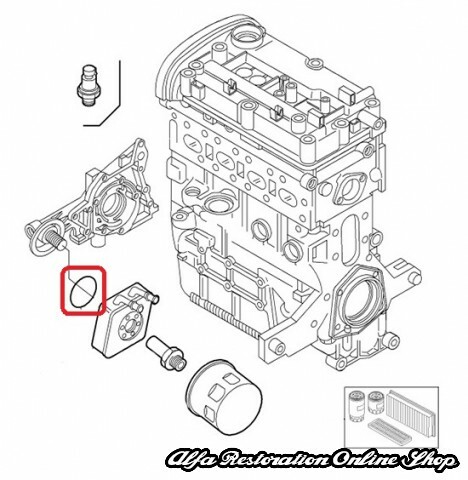 Compatible with FIAT MAREA DS GAMMA'99 (1999-2002),FIAT MULTIPLA (1998-2010), FIAT NUOVA BRAVO (2007-2009), FIAT NUOVA BRAVO MY 2010 (2010-....), FIAT STILO BZ/DS (2001-2003), FIAT STILO F.L.L. 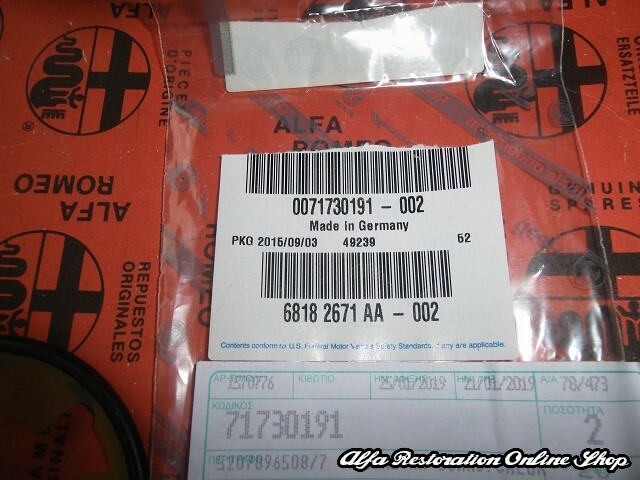 2003 (2003-2007), ALFA ROMEO 147 BZ/DS (2000-2010), ALFA ROMEO 156 M.Y.2002 BZ/DS (2001-2005), ALFA ROMEO 166 BZ-DS (1998-2007), ALFA ROMEO GT (2003-2010), ALFA ROMEO GTV '98 (1998-2005), ALFA ROMEO SPIDER '98 (1998-2006), LANCIA LYBRA BZ (1999-2005), LANCIA LYBRA DS (1999-2005).